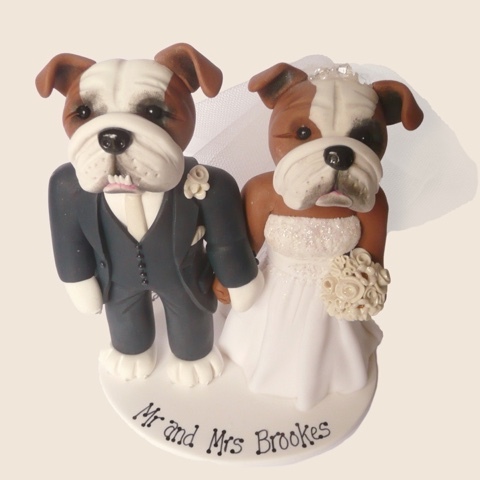 Add a personal touch to your wedding or special occasion with a beautiful, personalised, hand crafted cake topper. 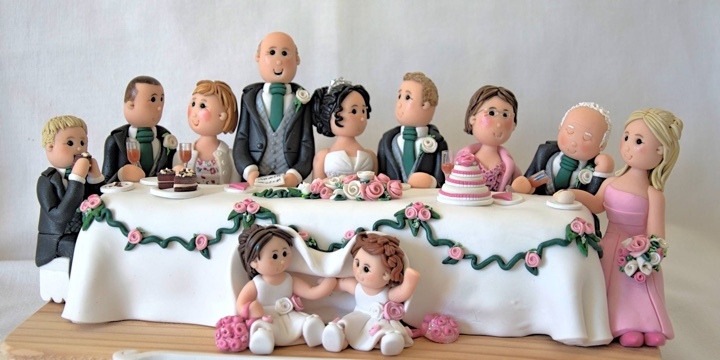 Every cake topper is made in your likeness and great care is taken to add as much detail as possible to match your clothes, flowers, hairstyles, pets and props. Get in touch and let me know what you're looking for and I will get back to you with availability and a price. Don't worry if it's something unusual – fill me in on the details, and I'll see if I'm up to the challenge! 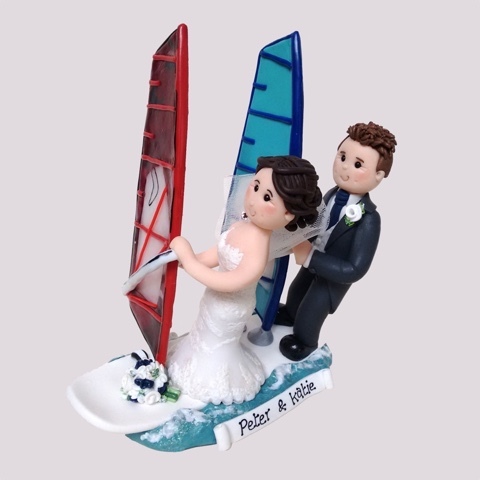 Wine glasses, champagne bottles, scarves, suitcases, footballs, hats, sporting equipment – little props like these can be added for a small extra charge. Perhaps there's something a little 'bigger' to add, like a passion for fishing, a love of shopping or that much-loved car. 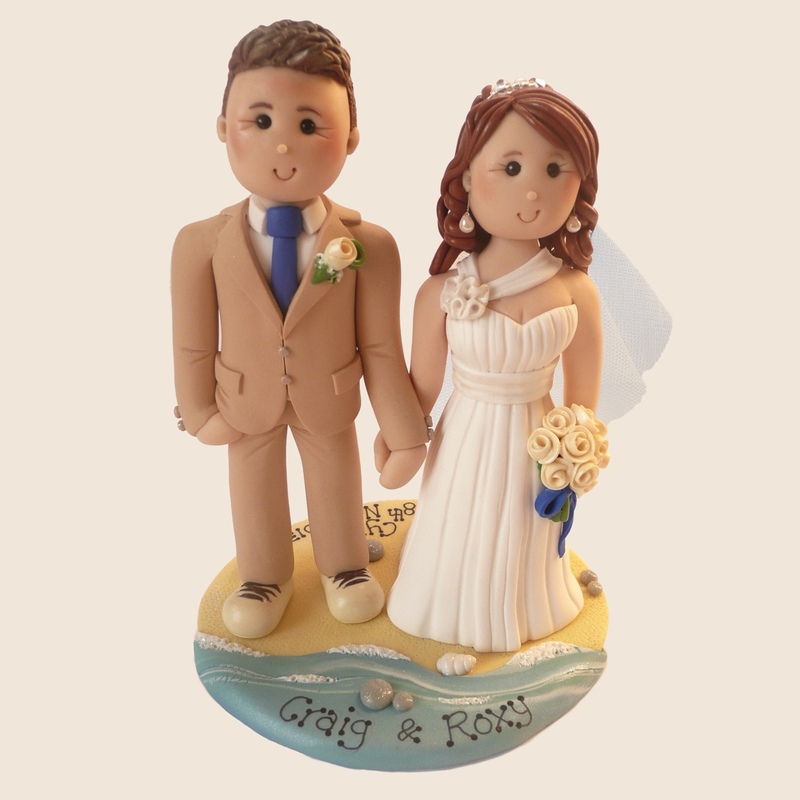 You may choose to have your base personalised with your names and wedding date or perhaps the date of a special birthday? This service is included for free. The standard base colour is ivory white although you can choose any colour you wish for your base, even grass or beech effect can be added.